Water heaters are expensive investments, with an average life expectancy of 8 to 10 years when properly cared for. Of course, when they break down, it’s never convenient. Mike Counsil Plumbing & Rooter can help you do more than avoid an unexpected cold shower in the morning; we help you save money and get the most from your water heater. 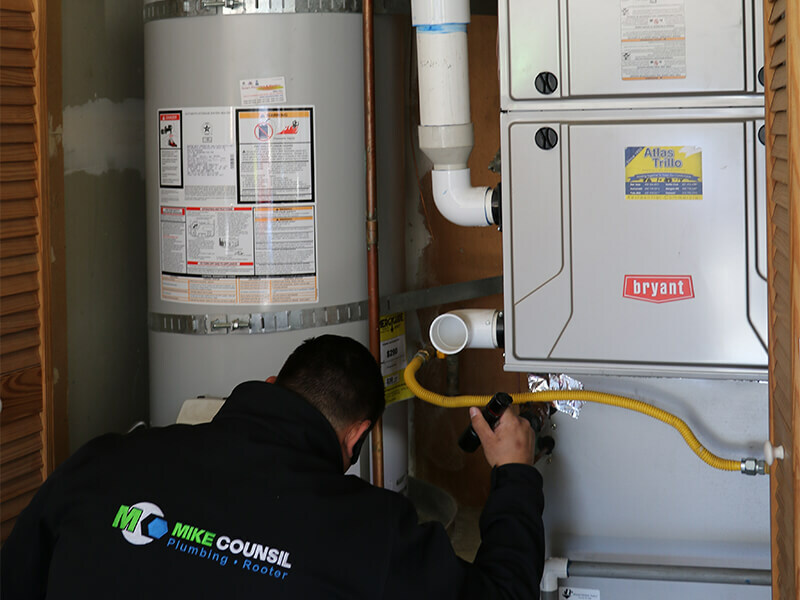 When you make a service appointment with us, our highly trained specialists will perform a complete and thorough safety check of your existing water heater to determine the exact cause of the failing unit. Additionally, our technicians will perform a repair vs. replacement cost assessment to determine whether it makes more financial sense to spend money on a repair or to upgrade and invest in a new water heater. Our exclusive assessment will assist you in making a sound investment in your home, since new water heaters cost more upfront but are much more energy efficient than older models. We always explain your options and the upfront or long-term costs associated with the future installation and maintenance of anything we recommend, so you fully understand and control the decision about your home. If your water heater system hasn’t failed beyond repair, our team can make the fixes necessary on any make and model of residential heater. Most of these water heaters are electric- or gas-fueled steel “tank-type” heaters that sit in a garage or cabinet. These units heat water and store it in the tank for immediate delivery though a system of pipes running throughout your home. For safety, a temperature and pressure relief valve opens to allow water out of the tank if the inside temperature or pressure exceeds safe levels. 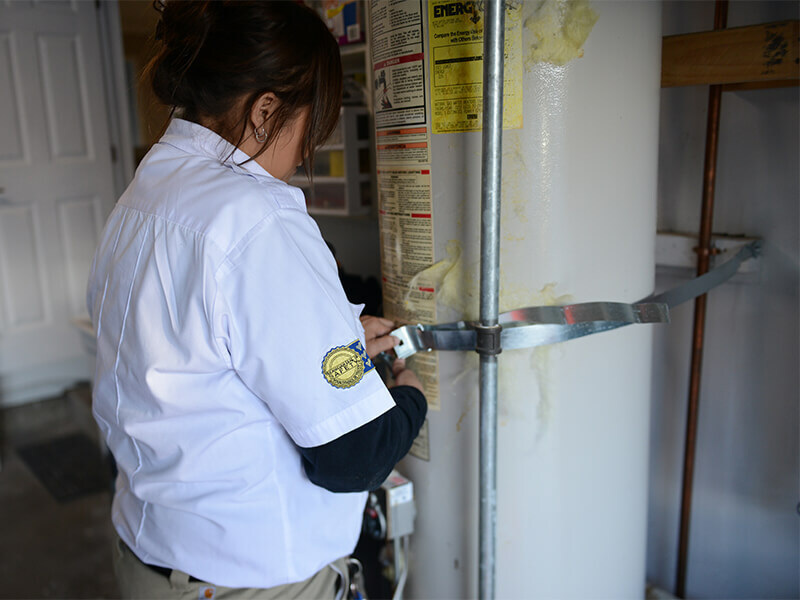 Our team often repairs the temperature and pressure relief valve and the gas control valve (or thermostat) to make sure the water heater is safe and not overheating. Another common safety repair involves the emergency shut-off valves and supply hook-ups associated with the pipe system. If your home isn’t pumping out any hot water at all or it’s not warm enough, you may have problems with the thermocouple or pilot systems. Finally, replacing the anode rod is part repair and part maintenance, because the anode rod is a corrosive metal that corrodes in water in place of the steel tank itself, thereby preserving the safety and integrity of the outer steel tank. This rod will certainly wear away over time because that’s precisely what it’s designed to do. To keep the tank from corroding, our technicians will always check the anode rod during a service visit to see if it needs a replacement. 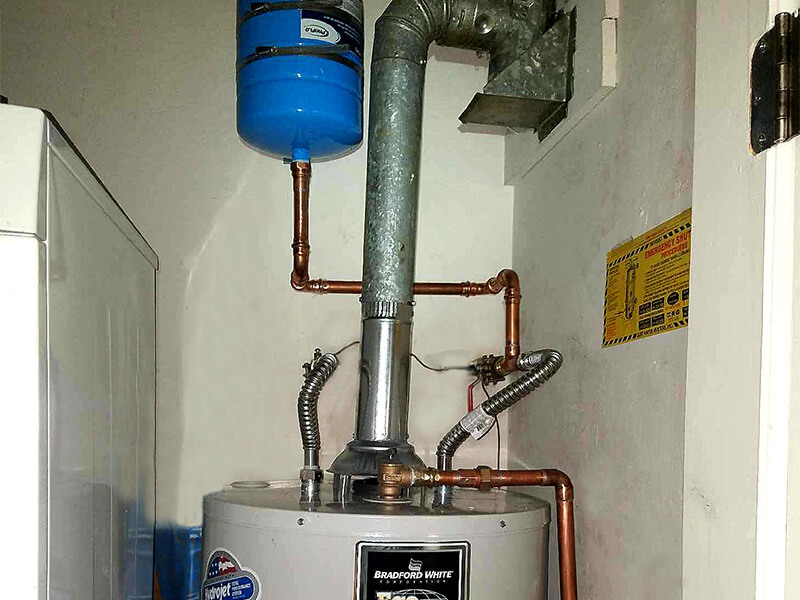 Choose Mike Counsil Plumbing & Rooter for your water heater repairs because we go beyond simply fixing the problem at hand. We service Santa Clara County, San Mateo County, and Tri-Valley. We’ll be mindful of the most cost-efficient and safe option, whether it’s a small part made in the USA or an energy-efficient new system. Our team will always help you get the most out of your investment with a safe water heater working at maximum efficiency.